There are many ways to identify the eggs of bed bugs, you have to take a closer look at some details. Bed bug eggs look like the eggs of other insects with the same size. In general, the bed bug eggs are small in size and white in colour. People usually see them at the spot of the infestation, where adult bed bugs hide as well. The eggs are most often clustered very close to one another. There are also egg shells all over the area. The bugs don’t hatch simultaneously. That’s why it’s egg shells are commonly found nearby unhatched eggs. They are a waste product of the first eggs that hatch during an infestation. Spend more time to observe the bed bugs infestation area. Otherwise you may confuse the bed bugs for something else and ignore them. Only a few insects or eggs are enough to start a whole new infestation inside your home. There is a variety of ways to remove the bed bugs eggs. They are treated in a similar way as other insects species, with some exceptions. You have to think what percent of the eggs will hatch after the treatment. This depends entirely on the type of products used during treatment. A stiff brush will damage the surface of the eggs and will destroy them. Problem is you won’t be able to reach tiny crevices and narrow areas with such type of brush. Vacuuming is also a solution. It does not provide 100% efficiency in removing the eggs. This means you will only deal with them partially if you try to destroy the bed bug eggs with a vacuum cleaner. Remove the attachment of the vacuum cleaner to increase the suction power. This helps with removing bed bugs and their eggs from surfaces when they are stuck inside them. Avoid using the bristle attachment, it is likely to scatter bed bugs across the room. If they land on random items in the property, it will be close to impossible to locate them on your own. Do not dispose of the vacuum can inside the house. Go outside and put everything inside a plastic bag, then seal it properly. Do not expose others to the same type of pest infestation. If all else fails, you can always rely on professional bed bug treatment for a quick and effective extermination. The heat treatment for bed bugs is particularly effective against eggs as it destroys the infestation in all its life stages. Bed bugs are not exactly killed by any form of pesticidal products. Instead scientists measure how bed bug eggs react to certain substances. Will they remain fertile after being treated? 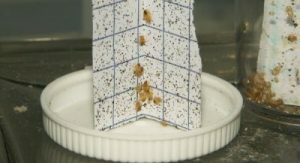 If most bed bug eggs hatch, the product from the experiment proves as inefficient. Resistance to substances - Bed bugs are resilient to plenty of chemicals and become even tougher with time. Permeability of chemicals - This measuresif a certain compound is able to penetrate the shell of the bed bug egg and if yes, to what extend. The exact bed bug strain in the experiment. Pyrethroid-based products used on bed bug eggs show not so efficient results. Approximately 84% of the eggs hatch, despite the fact that they have been sprayed with the chemical. Up to 99% of the nymphs that hatch from these eggs survive afterwards. To sum up, pyrethroid-based products are only 15% efficient. This is much less than satisfying. Halogenated pyrrole, on the other hand, allows more nymphs to hatch. About 90% of the eggs remain fertile. Almost all nymphs die right after leaving the egg shell. A mix of neonicotinoid and pyrethroid is much better than the pyrethroid-based products. It is not as good as the halogenated pyrrole, though. This compound has great effect on the eggs. It destroys completely about 87% of them and only 13% of the eggs remain fertile and hatch. The nymphs coming out are likely to survive but roughly about 38% perish. These results are from a study by the Entomological Society of America. It is available on various sources on the web, including the Journal of Economic Entomology. To get the most of any pesticidal products for bed bugs, we recommend to read the label. It provides a lot of information about the usage of the product and what situations it’s most suitable for. The temperature at which bed bugs die is called a “thermal death point”. Under a certain temperature the bed bug in all life stages starts to dehydrate. The bugs die in a few hours, depending on how high the temperature is. The thermal death point for bed bug eggs, nymphs and adult bugs is 45°C. A 1.5 hour of exposure to this temperature will exterminate the bugs at all life stages. If you raise the temperature a bit to 48°C, the time required to kill the bed bugs, becomes 3 times lower - only 30 minutes. When a heat treatment is the only solution, technicians use a specialised equipment. With it, the premises are heated to the required temperature. Pest control professionals work under a very well controlled environment. The procedure has higher costs than standard spraying with insecticides. Though, it gives quick results with up to 100% effectiveness. It is often preferred as a guaranteed method for bed bugs control. 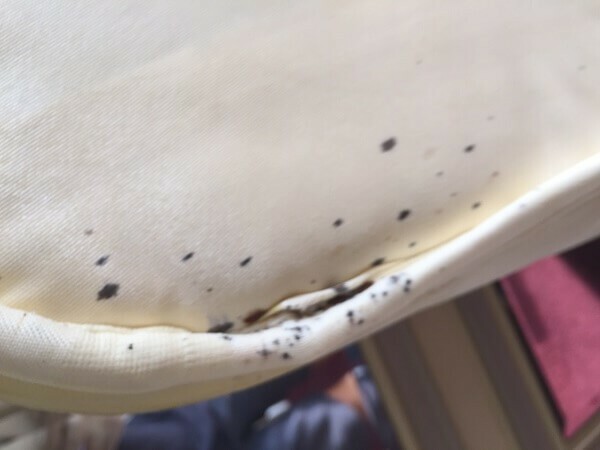 Upholstered furniture infested with bed bugs is most troublesome. It’s much harder to treat it without ruining the surface. The fabric of any upholstery provides much better hiding for the bugs as they get deep into it. Heat treatment would do the job for any furniture but most people try to avoid the cost of this service. Heat treatment is more expensive than a lot more popular alternatives. Vacuuming works very well for exterminating bed bugs inside furniture, if done properly. We have a few tips that will help you get the most of this method of eradication. Focus on the cracks and crevices. Bed bugs avoid staying on flat surfaces of furniture, they will get as deep as they can. It’s often required to disassemble furniture to get access to bed bug eggs and living insects. You should do it as well if you are certain that the furniture is not bed bug-free. Apply a bit of diatomaceous earth inside cracks. If there are living bed bugs that crawl on top of it, their exoskeleton will be lethally damaged. Apply some of the powder on living bed bugs if you notice any as well. In case you identify any bed bug eggs, move the furniture into a separate room. Keep infested objects there only. This way you have only 1 room that will be heat treated. The rest of the property still need to be inspected. Heat treating only one room saves a lot of time and costs. Using steam to eradicate bed bug eggs is a very effective method when you do it the right way. There are plenty of things to consider before steam cleaning any bed bug eggs. Use a proper steamer. A commercial steamer with a capacity of at least 3-4 litres will do the job. It’s also best if it is equipped with a steam volume control. Avoid the usage of carpet cleaning machines. They are not good enough in reaching the temperature at which bed bugs die. Streamers are much more suitable for injecting a high temperature on flat surfaces. They are not so reliable if you have to treat tiny crevices and cracks. They are also not suitable for steaming clothes because of the high temperature. If you don’t know how to use a steamer, or don’t have one, better seek professional advice. You also have the option to schedule a pest treatment with a local company. Usually, a period of about 6 to 10 days is required for the bed bug eggs to hatch. When this happens, the bed bug nymphs start seeking their first blood meal. They do it to complete their first nymph life stage. After completing each of the five life stages, the nymphs shed their skin. You can see the shed skin with naked eye if you know how to check for bed bugs activity. 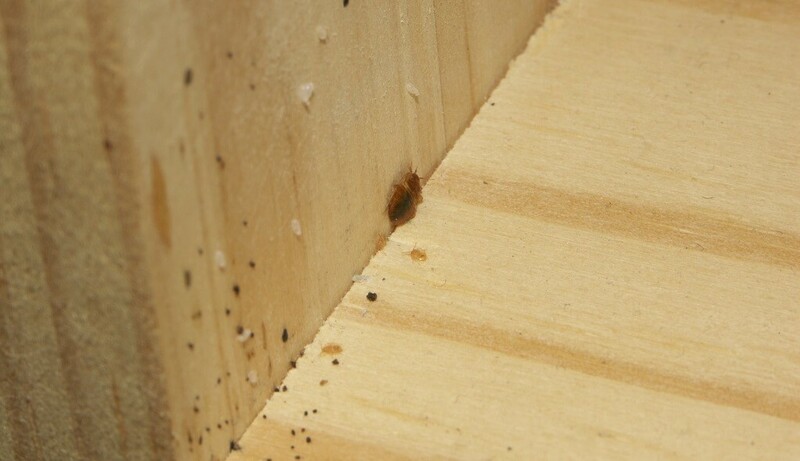 To develop any further, bed bugs need a blood meal which is close to their hidings, as they move quite slowly. All ages are found in a reproducing population. Under normal circumstances, adult bed bugs will live for about 2 to 4 months. Pesticide-free environment - There are compounds that destroy the bed bug eggs. Some make the newly hatched nymphs die almost instantly after hatching. Though the eggs are resilient to most pesticides, the lack of them is one of the conditions needed for the bed bug eggs to hatch. These are only the basic conditions needed for bed bug eggs to hatch. There are other factors, such as natural predators. If they are anywhere nearby the eggs or the young nymph, the crawling insects don’t stand a chance. Generally, you can find bed bug eggs at the very same places where adult bugs hide during the day. Check the most common areas that get infested in homes and commercial buildings. The area around your bed. No matter where you find the bed bugs, we recommend you take immediate actions for their removal. A female bed bug can lay about 500 eggs. Even if you miss one spot, you will not get rid of the crawling insects completely. Wait for a while after your pest control attempts. If bed bugs reappear, contact professional pest control experts. Making sure that the eggs you found on the mattress were laid by bed bugs is easy to achieve by finding actual living bugs. You should start by identifying how the bed bugs may have possibly entered your home. 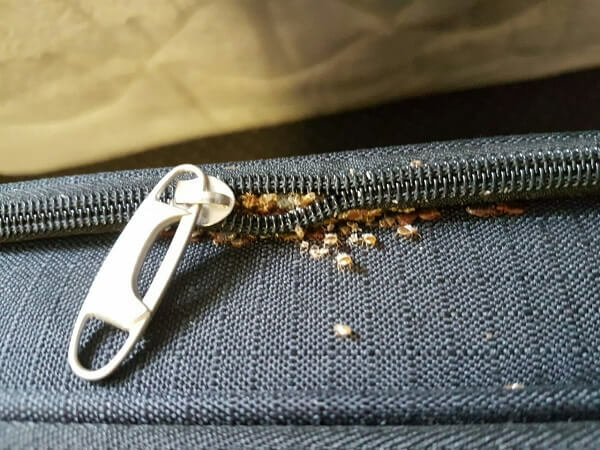 Some of the most common reasons for a bed bug infestation is luggage. Bed bugs get in it while people travel and stay in hotel rooms. No matter how the bugs get in, most of them will concentrate on your mattress. The reason for this is their feeding habit. Bed bugs crawl out at night and feed off the blood of whoever is lying on the bed. They inject an anticoagulant that causes skin rash and other similar non-life-threatening reactions. 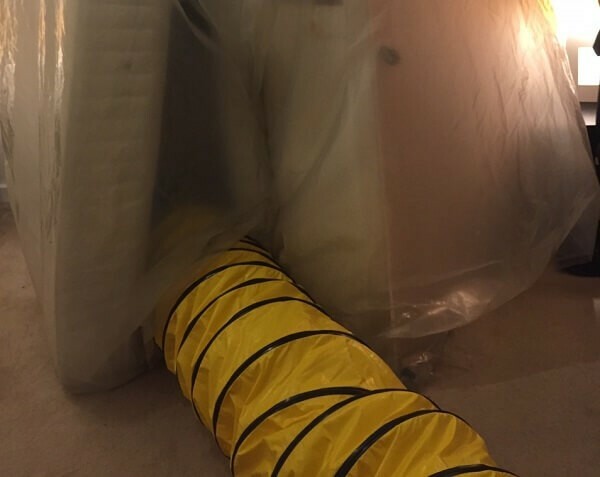 The bed bugs heat treatment is very effective if you want to kill bed bug eggs. It’s actually the best way to make sure that bed bugs in any life stage will be completely exterminated. As long as the treatment is done professionally, it comes with a few months guarantee. Maintaining a temperature of 45 °C for at least an hour inside a room is enough to kill bed bugs in all life stages. This includes eggs, nymphs and adult bed bugs. Skilled pest control technicians are responsible for heating the rooms inside buildings. They also track the temperature during the treatment and do changes to the settings. By increasing the temperature, the time, required for the bed bugs extermination drops. Air at a temperature of 48 °C should kill bed bugs for approximately 20 minutes. *Heat treatment is more expensive than other bed bugs control methods. *In the past, it’s been a reason for fires inside building, treatments are now much more advanced. Using alcohol can barely help you with the extermination of bed bug eggs. It is a solvent that causes damage to the egg to some extent. It is certainly not enough to kill a significant number of the bed bug eggs. Only a very concentrated alcohol substance proves to be effective. Mind that it’s very dangerous for domestic application and we advise against its usage. Rubbing alcohol on a surface may repel a bed bug. It will not lay its eggs there but will find a more suitable place for this very fast. Most people are not aware of this and spray alcohol on their furniture. Applying alcohol on upholstery is very bad for the fabric. It may damage it very bad, depending on how much isopropyl alcohol the substance contains. Most alcohol products are also extremely flammable. This puts your home at a great risk, so we advise against the use of alcohol when dealing with bed bugs. It’s simply not worth taking the risk of getting stains on your furniture or setting your home on fire. All - for the sake of killing a small part of the bed bugs population. Bed bugs are most visible to the human eye when they have just finished eating. It is then when their size reaches its maximum capacity. Their eggs are very small and it may be necessary to use a magnifying glass or similar tool to identify them. However, when the bed bugs’ population is higher than the average, the insect are clustered at a spot. They form a giant black or reddish marking which is very visible. Check our detailed guide to all the signs of bed bugs infestation. It will help you identify the insects and their eggs easily. Bed bugs are likely to infest carpets as well. This is usually a sign that their number has become much higher than the average. At this point you should take immediate actions for their eradication. There are several ways to get rid of bed bug eggs in your carpet. One of them is to use diatomaceous earth and then vacuum of what’s left of the bed bug eggs and shells. Watch this video that explains step by step what to do to get rid of bed bugs and their eggs on your carpet. 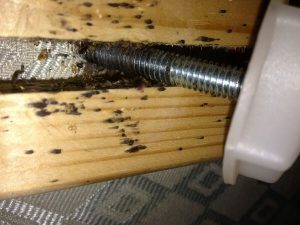 Bed bugs can get in very narrow places that are hard to reach by most other insects. Their small size and activity during the night is a huge advantage. Bed bugs crawl over the body of people to find a suitable spot for feeding. Once they finish with their meal, they get back to a place which is as close to the food source as possible. In this aspect, bed bugs may prefer to hide inside the hair of the animal or person they feed on. When they hide in your hair, it may take you awhile before you realise that. People who wear wigs are most prone to having their hair infested by bed bugs. If they stay there for too long, they may even lay eggs. Using substance that contains 90% alcohol or more will kill some of the bed bugs and their eggs. Rubbing alcohol on your scalp may hurt it. Some mineral or olive oils may help you avoid getting bed bugs in your hair. There is no 100% guarantee that such products repel the insects completely. A saunа treatment at a high temperature of at least 45 °C for an hour or more is your best choice. As mentioned above, bed bugs die in a warm environment. Their eggs and nymphs die as well. Having bed bug eggs in your home, in your luggage or even on your body is not life-threatening. Yet, if you don’t take quick actions to eradicate the bed bugs, this will add up on the final costs of the service. The faster you start the insect extermination, the better. 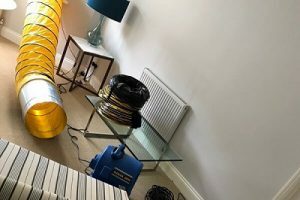 In case you don’t have any experience in pest control, better contact a pest control company - a reliable one that has experience in dealing with the pest infesting your home. The size of a bed bug egg is very small. It’s often so small that single eggs are almost impossible to notice without a magnifying tool. The crawling insects lay eggs with an average size of 1.5mm to 2.5mm. The eggs have mild transparent appearance. This makes them able to merge with the background of the surface. Generally, the bed bug eggs look like a rice grain.